This map is from Atlas of the State of Illinois published by Warner & Beers, Chicago, in 1876. It shows some land owners and the towns in existence at the time. Lake Fork, the community in Mt. Pulaski Township, did not exist at the time. 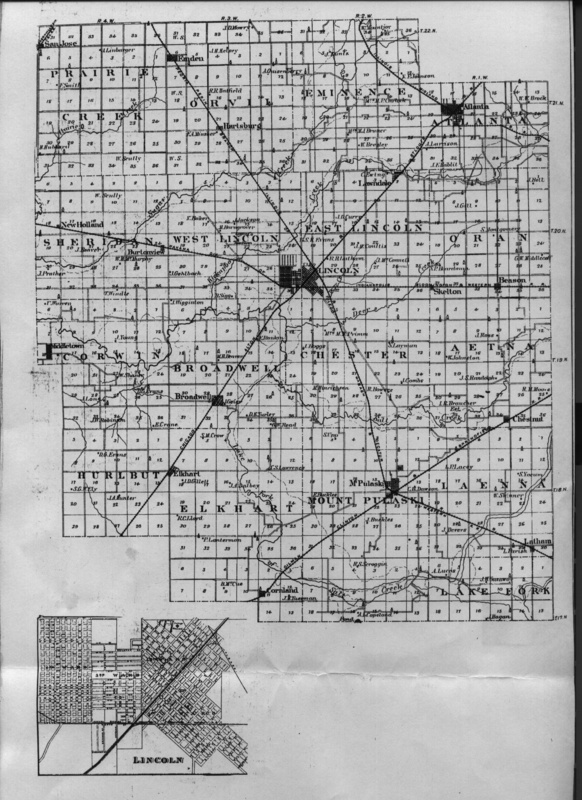 Note this map has townships and sections numbers as well as a map of Lincoln at the bottom. With a magnifying glass you can read the street names.